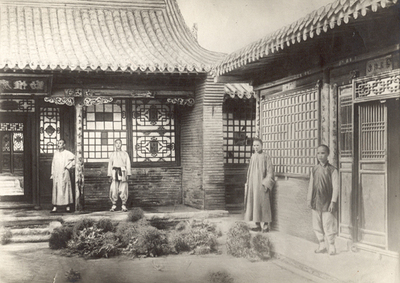 Photo of railway office before its destruction, location where Taiyuan Martyrs were lodged. "Pig-Head" Alley, Taiyuan. B/W Photo.